Below you’ll find the Job Price’s guide to controlling and eradicating Japanese Knotweed. This is an in-depth guide so please bookmark this page for future reference. Japanese Knotweed is one of the toughest, most damaging and insidious plants in the world. There’s even an old wive’s tale about this weed growing so menacingly, that it can “creep over cat’s feet”. Insurers often refuse cover if you live within 50 metres of Japanese Knotweed and house values can be CUT IN HALF if a survey highlights this threat. If you’ve just discovered this weed in your garden, then it’s vital that you act as quickly as you can. This menace can be defeated, and you have several options, but inaction isn’t one of them. 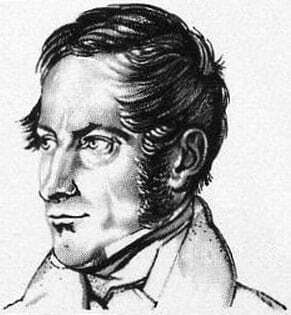 In the early 19th century, European botanist and traveller Phillip von Siebold removed a sample from the side of a volcano in Japan and transported it to Europe. By 1850, The Royal Botanical Gardens in Kew obtained a specimen, and within a decade the plant was being sold to the public via nurseries. Botanists initially viewed it as a prized specimen due to its bamboo-like appearance, and authorities and local governments deployed its fast growing root system as a way to strengthen river and railway embankments. City dwellers also favoured it as an ornamental plant. Road and rail development, canal works and general construction projects seen throughout the late 1800’s and early 1900’s saw the roots spread to almost every corner of the country. By the mid-1900’s, local and national governments around the world saw Japanese Knotweed as a threat to native species, waterways and structures. The World Conservation Union currently lists this weed as one of the world’s worst invasive species. 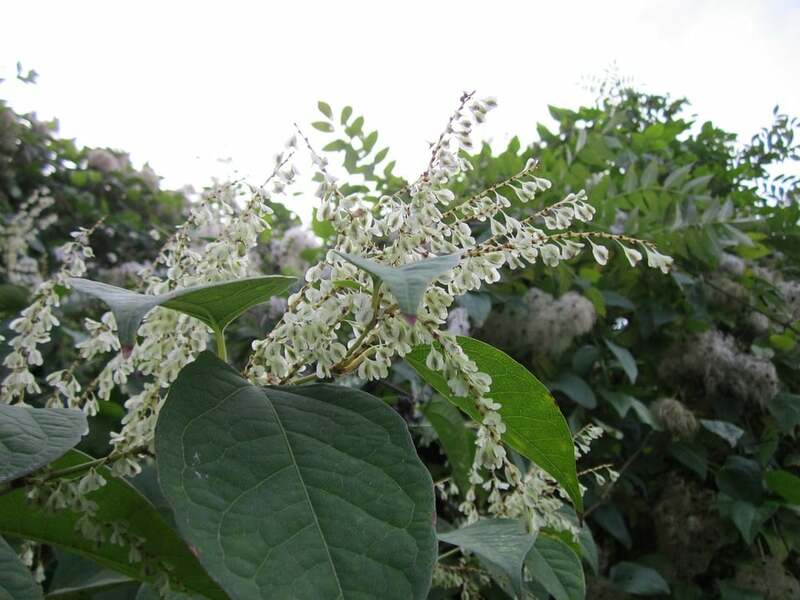 Identification of Japanese Knotweed is often difficult as its appearance is very similar to other plants such as Common Lilac, Dogwood, Bindweed and several variants of bamboo. New leaves are dark red, rolled at the edges and around 1 -4cm in length. Young leaves are green with red veins, the edges may be slightly rolled, and the length is between 4-8cm. Mature leaves are green, heart or shield-shaped and around 12cm in length, the base of the leaf is usually flat. Early season shoots and stems are fleshy but soon form a vertical green bamboo-like appearance with red rings and nodes. The crowns that these stems emerge from form clusters. Expect growth to reach up to 3 metres in height. Where excessive cutting or herbicides have been applied, growth may be stunted with small bonsai-like stems clusters. Leaves grow from the stem in a distinctive, alternating zig-zag pattern. The stems are also hollow and easy to snap. Japanese Knotweed roots (rhizome) are between 1-20cm in thickness, the exterior is an earthy brown, and the inside is distinctive orange and yellow. Like the stems, you can snap with ease, but they aren’t hollow. The flowers are white and quite small, rarely larger than 0.5cm and they bloom in late summer. The flowers grow via their spikes which can be up to 12cm in length and form clusters. Bees are attracted to this plant during the flowering season. Buds usually form in early spring, but as this plant is so hardy, they may grow during a mild winter. They’re red and pink and look fleshy. Sizes vary but 1-3cm is typical. Previous chemical treatments will alter the appearance of Japanese Knotweed and may cause it to grow in a stunted, clustered manner. Twisted, bent and short stems are also signs of previous treatment. Japanese Knotweed is a very tough and durable plant that prefers a warm and wet climate but will still grow through mild winters if the weather conditions are favourable. The growing season is typically from mid spring to mid autumn. You can expect an average growth rate of 2-4cm per day (60-120cm per month) during the summer months, although when weather conditions permit, it may grow at up to an eye-watering 10cm per day. During the winter months, all growth above ground will die, and only the roots will remain alive and dormant until the springtime. The knotweed will damage patios, concrete, paths, driveways and other external hard standings. 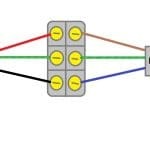 Utilities such as water pipes, waste pipes and electrical cable systems may be compromised. Foundations could be breached, and the plant will grow indoors through walls, floors, sockets and vents. Complete elimination of existing native plants due to lack of light. Insurers often exclude Japanese Knotweed from their policies if they offer you a policy at all. House values can drop by as much as 50% as a result of having this weed in the garden. Mortage lenders may refuse an application due to the potential drop in house value. 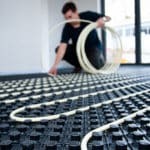 They may request a receipt or certificate from an approved contractor and/or an independent insurance backed guarantee for any treatment that’s been carried out. As a general rule of thumb, lenders and insurers will not accept DIY treatments as proof of eradication as Japanese Knotweed can be dormant for several years before growing again. In the United Kingdom, it isn’t illegal to grow Japanese Knotweed in your garden. However, you may be liable for any damage and remedial costs to neighbouring properties and land. Anti-social behaviour orders (ASBO’s) can be used by the courts to force homeowners and landowners to take action. Failure to comply with the order can lead to individual fines of £2500; an organisation can be fined up to £20,000. It is illegal to grow or plant this weed in the wild. 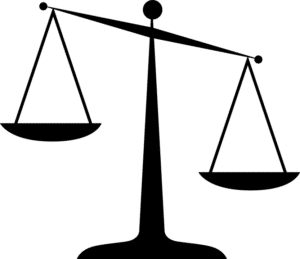 Section 14(2) of the Wildlife and Countryside Act 1981 states that “if any person plants or otherwise cause to grow in the wild any plant which is included in Part 2 of Schedule 9, he shall be guilty of an offence. Japanese Knotweed is also a controlled waste material and therefore must be disposed of via approved landfill sites only. Only registered waste carriers should transport this material and relevant insurance policies should be in place. 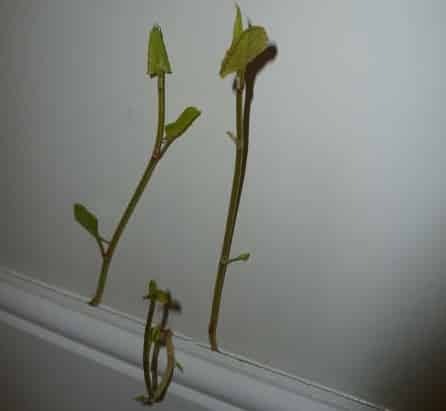 In February 2017, two homeowners successfully sued Network Rail for failing to tackle Japanese Knotweed which affected their home’s value. The bungalows were previously valued at £135,000 but are now worth around £69,000 after the plant encroached onto their property. The court ruled in their favour and awarded them £4,320 each plus £10,000 each for the drop in house value. 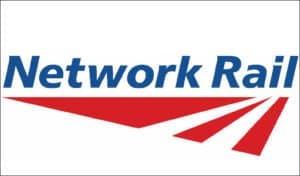 Crucially, the judge also stated that if Network Rail failed to undertake an eradication program, the two homeowners could be awarded additional funds to compensate for the full drop in their home’s value. 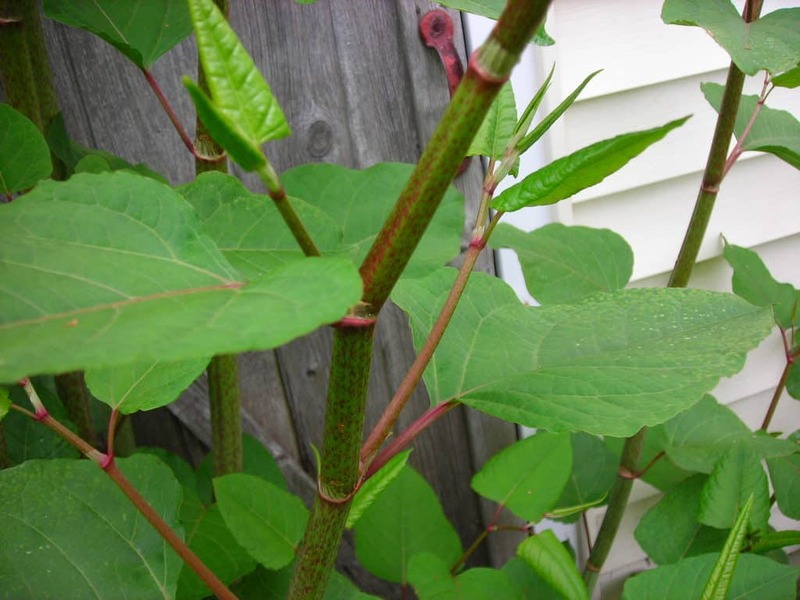 There are three ways to get rid of Japanese Knotweed; each has their pros and cons, and prices vary. 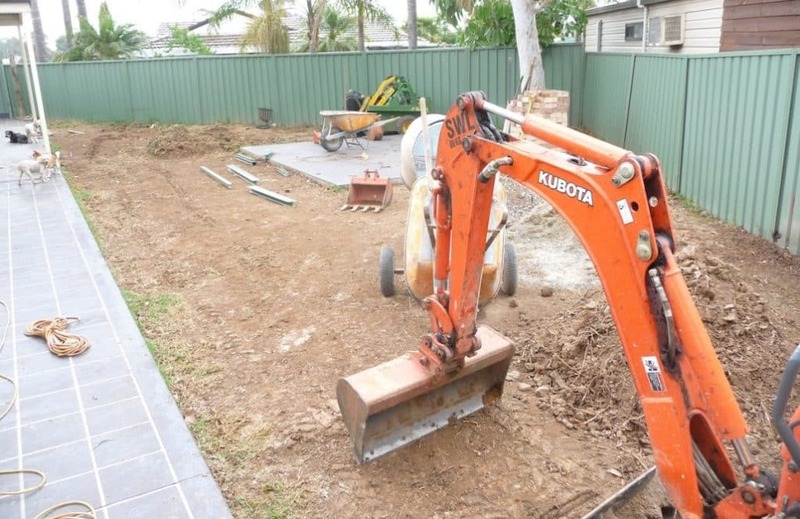 This work involves the excavation of the garden to a depth of up to 3 metres, all of the earth is either taken to a specialist landfill site, buried below 5 metres or is screened and filtered by hand and mechanical means before being placed back into the garden. This option is expensive, especially if you choose to dispose of the waste at a landfill site. It’s also the fastest way to remove the Knotweed and is the preferred option for land developers. It’s not the most practical option for homeowners with small gardens where the roots are going through several neighbouring properties. Our research in 2017 revealed that the average price for this type of work to a typical garden costs between £6000 and £10000. 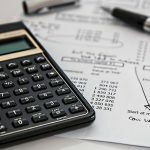 The price variance depends on whether you filter the contaminated material or have it sent to a hazardous waste landfill site. This project is the same as the first option except that a weed-proof membrane is placed on the ground before the excavated area is backfilled with fresh earth. 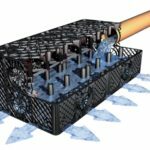 This membrane acts as a vertical barrier and is also used to prevent the roots from encroaching via neighbouring gardens and land. This is the perfect option if you have neighbours who aren’t proactively treating Japanese Knotweed on their land. Unfortunately, this is the most expensive option, especially if you send the old excavated earth to a landfill site. An alternative option is to bury the Knotweed, either five metres below the surface or within a sealed membrane which acts as a container. Our research in 2017 revealed that the average cost of this type of work varies and depends on the size of the garden and whether you filter the soil or take it to a hazardous waste disposal landfill site. Expect the cost to be upwards of £8000. The previous two options involve the complete dig out and excavation of the land to a depth of three metres. The roots traverse several boundaries. 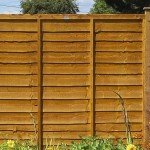 You have fences, walls, patios, trees and outbuildings such as sheds etc. that would need to be moved or demolished. Chemical treatments are a viable option, they work and cost less than a full excavation. Pose a risk to the environment so must be used with appropriate care, especially when used near waterways. They take several years to eradicate a Japanese Knotweed infestation entirely. You’ll need to have adjacent land treated at the same time, so this will involve the cooperation of your neighbours. Regular weed and garden moss killing products are nowhere near powerful enough to treat Japanese Knotweed and in most cases will only burn the surface of the plant and foliage. The process usually involves a chemical called Glyphosate which is sprayed onto the leaves and injected into the stems of the Knotweed. From here it travels down to the root system. If you need to treat a large area, some of the plants will need to be cut down to gain access. 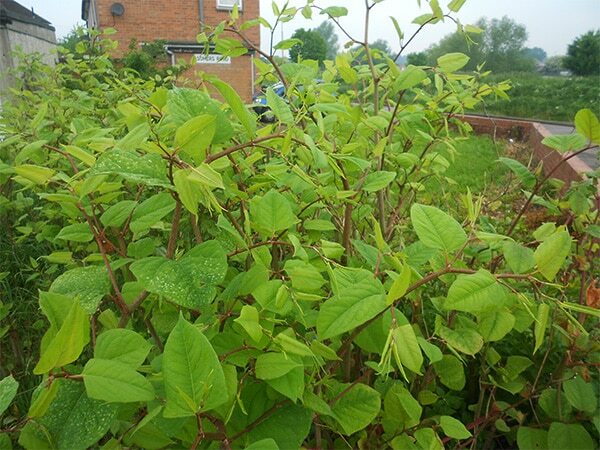 Our research has revealed the average cost of chemical Japanese Knotweed treatment to a typical garden would cost in the region of £3500 – £4000. This cost is spread over 2-3 years as one treatment is rarely enough to eradicate it permanently. Issues usually arise when the property is close to a canal, river, stream or other waterways as the chemical is very harmful. 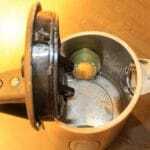 Instead of injecting it into the stem, it may need to be applied to the leaves and stems via a roller. This isn’t the most efficient method and usually takes many years of repeat treatments, it’s also a slow and labour intensive process. A typical professional treatment program costing £4000 will involve 2-3 treatments per year for up to 3 years, for stubborn or prolific Knotweed growth, up to 5 year’s worth of treatments are required. Removing established Japanese Knotweed root strands is an arduous task and in most cases requires the hiring of a mechanical digger. There’s a risk of damage to underground utilities and foundations. 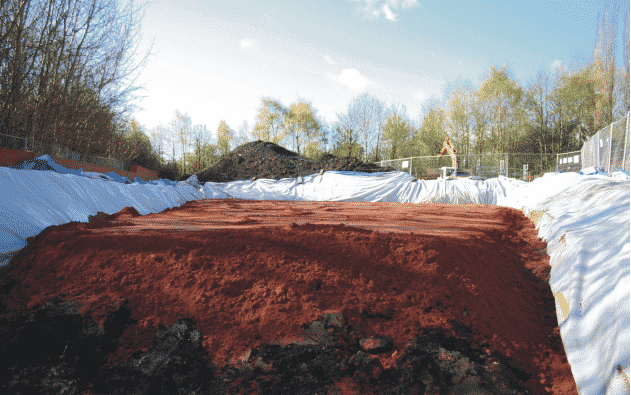 You’ll also have to dispose of the material, including any contaminated soil. Don’t forget that Japanese Knotweed is controlled waste in the UK so you’ll need to take it to a specialist landfill site. The best option for homeowners wishing to try the DIY route is to implement a multi-year chemical treatment program. The most popular chemical for Japanese Knotweed treatment is Glyphosate, and it’s readily available in weak solutions from most DIY stores. Stronger variants up to 360 grams per litre are available online. Children’s playgrounds, communal areas or schools that could be affected by spray drift. Rivers, ponds, stream or other waterways that could be affected. Contact neighbours and ask about pets or children that might be using the garden on the treatment day. An action plan should then be drawn up. If there’s a risk of spray drifting onto nearby lands such as communal areas or schools, you can contact the landowner or school and ask them to fence off the affected area, or you can delay the treatment until the school holidays when nobody will be using the facilities. 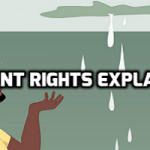 Waterways can be adversely affected by chemicals. If you live close to one, you should first contact the Environment Agency and ask for advice. In most cases, you’ll need to wipe the chemical onto the leaves rather than spraying it. You can also inject the chemical directly into the stem to avoid spray drift. You should consult your neighbours as part of the risk assessment, and any pets and children kept out of neighbouring gardens for the duration of the treatment. Extra precautions should also be taken with fish ponds. The best time of year to treat Japanese Knotweed is from late spring through to mid-autumn when the plant is in full growth. 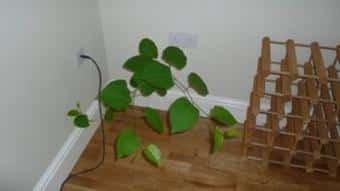 If you are relying on the leaves to draw in the chemical and transfer it to the roots, you should ensure that the plant is in full bloom, don’t try to treat the Knotweed in winter or early spring. Glyphosate is a general non-selective herbicide; this means it doesn’t target a particular species but will affect all plant life. 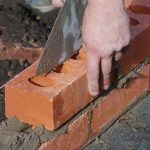 You should ensure the work is carried out on a dry day with no rain forecast for the next 24 hours. We also suggest you avoid windy days if you intend to use a spray applicator. The best way to treat large areas of Japanese Knotweed is via a garden sprayer, however, for growth near waterways or other sensitive areas, a cloth, roller, brush or sponge can be used to apply the Glyphosate to both the leaves and the outside of the stems (with gloves obviously). Covers and tarpaulins should be used to protect ponds, grass and plants. We also suggest you inject the chemical directly into the stems of the Japanese Knotweed; the best place is just above ground level near the first node. Professionals use specially designed injectors, but you can cut the stem and pour the chemical directly into it. Disposable gloves and overalls should be wrapped in a bag and disposed of via normal means. 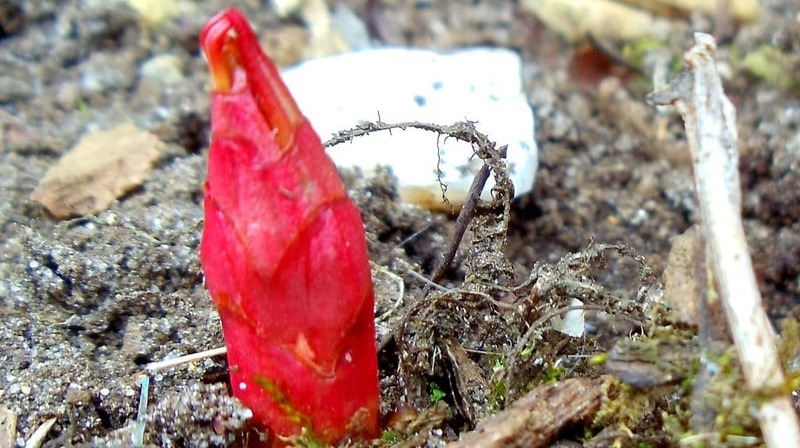 Any Japanese Knotweed that has been cut down to gain access or to inject the stems should be placed in sturdy plastic rubble sacks and disposed of via an approved landfill site. Some local councils offer a free collection service for bagged Japanese Knotweed; others don’t. We suggest you contact your local council for guidance. Current regulations state that only registered waste carriers can transport controlled waste such as Japanese Knotweed. Professionals usually apply 2-3 treatments per year over a period of between 3-5 years. The exact number depends on the size of the infestation; we suggest you follow this timescale but also keep a close eye on the area and adjust the frequency of treatments accordingly. The cost of a DIY Japanese Knotweed treatment is considerably less than a professional treatment. For a typical garden with an average-sized Knotweed infestation, you’ll pay around £50 per year for disposable safety equipment and around £100 per year for the chemical. Sprayers cost around £20, and the disposal of any bagged Knotweed could be free if your local council offers a collection service. If not, you’ll need to pay a fee. 1 – Cutting or strimming is not a realistic option as the roots underground will continue to grow. 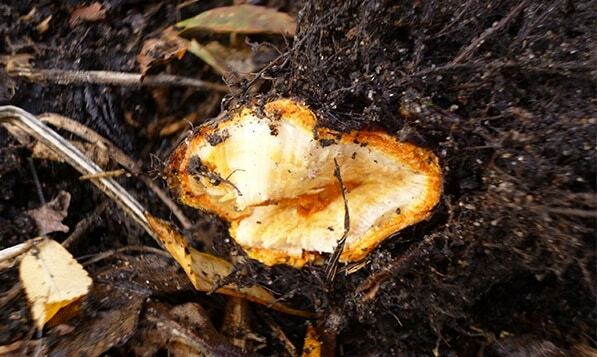 You’ll also be left with organic material that will need to be disposed of carefully. 2 – Half-hearted attempts to dig out the roots usually fail and sometimes make the problem worse. As previously stated, the roots can be up to three metres below ground level, and all it takes is 0.6grams of root to start a new plant. Unprofessional and incomplete dig outs often create separate strands underground. Japanese Knotweed doesn’t spread by seed but by small amounts of the root being transported to a new location. 3 – Tarpaulins, covers, patio slabs, tarmac or concrete won’t be enough to prevent the growth of this plant. Any attempt to kill off Japanese Knotweed by starving it of sunlight will fail. This invasive species can lay dormant for several years, and the roots can grow underground laterally for up to seven metres, possibly even more if the ground and weather conditions are ideal. See a map of Japanese Knotweed locations in the UK with Plant Tracker, includes map grid references. This guide was created by the team at Job Prices – A UK based home improvement website.